This is a delicious meat dish that might be a little like meatloaf. 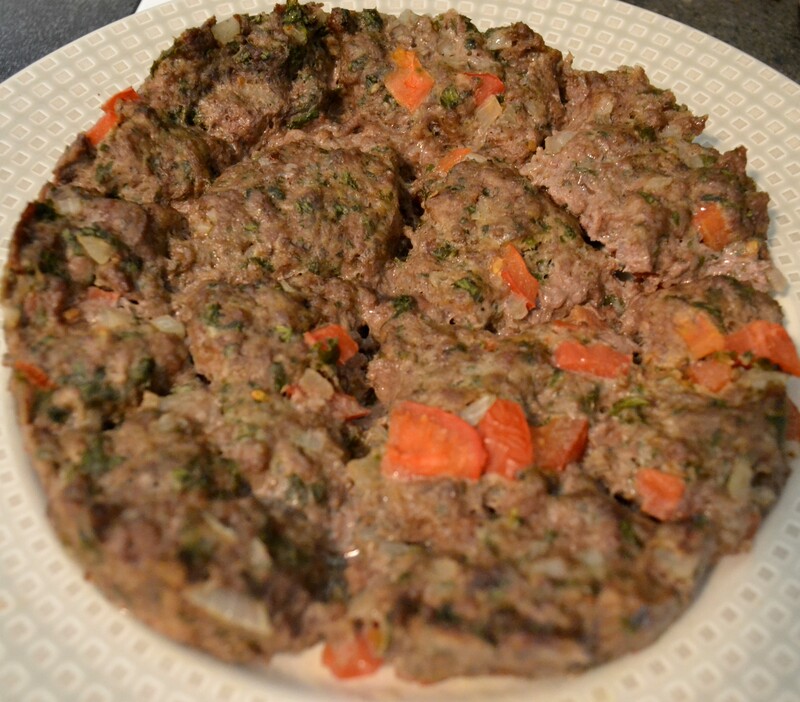 This is my own recipe based on watching and tasting many Kufta dishes for 30 years. There are many ways to make it but we will concentrate on this basic recipe first. 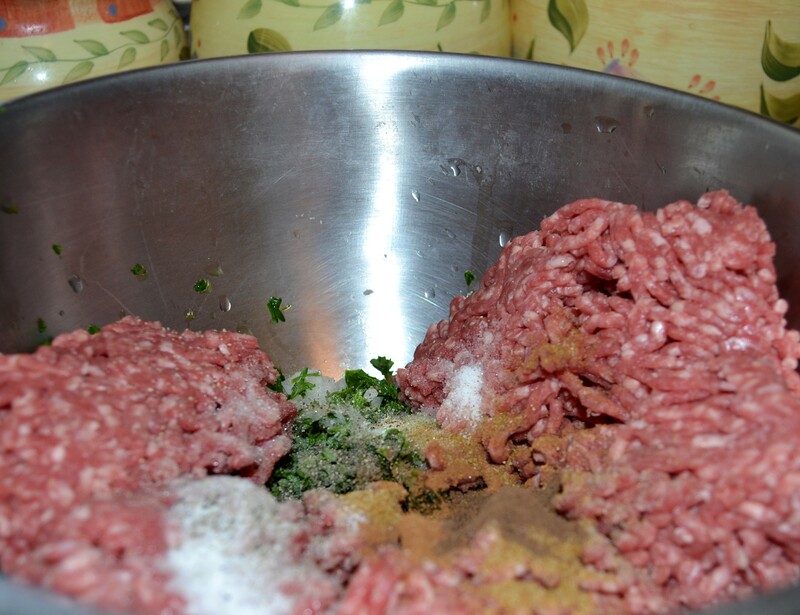 In a bowl, mix ground beef and all other ingredients. Using an ovenproof baking pan, take some meat and pat down in pan. Making indents all along the meat in a circular fashion. Bake for 30 minutes or until done. Remove from oven and serve. Take out and serve with rice or in a sandwich. See my shwarma Kufta sandwich next! This looks like a tasty dish. 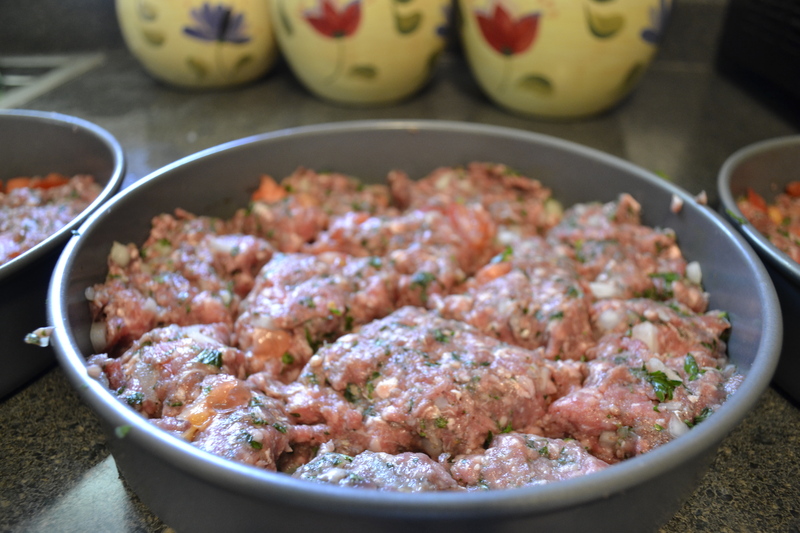 I like the simplicity of putting the ingredients in a baking pan rather than rolling the mixture into meatballs or onto kebab sticks. yes it is easy and tasty!